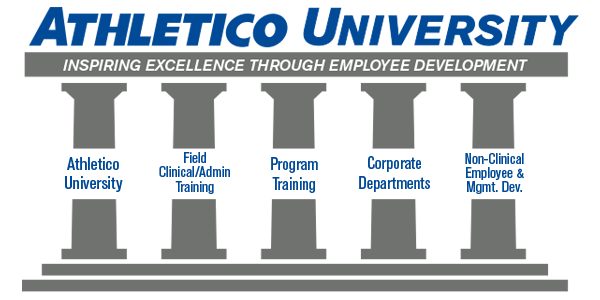 Athletico provides continuing education benefits to equip employees with the knowledge needed to excel in their careers and provide every patient with superior care. We encourage all employees to develop new skills and competencies through education benefits that include classes, seminars and certifications. Athletico University delivers in-house continuing educational experiences that help our clinicians meet the credit requirements needed to maintain licensure. Athletico physical therapists can apply for the Orthopaedic Residency and Orthopaedic Manual Physical Therapy Fellowship training program. In order to continue to provide our patients with superior care, we provide generous continuing education benefits to our staff. Each clinical PT, OT and PTA participates in a mandatory three to six month mentoring program, which is specifically designed to support the transition from student to functioning therapist. 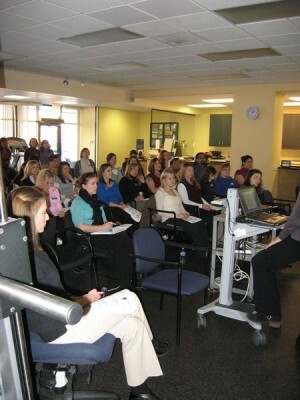 Athletico’s Student Clinical Education Department is designed to enhance the learning of PT, OT and PTA students in the clinical setting.